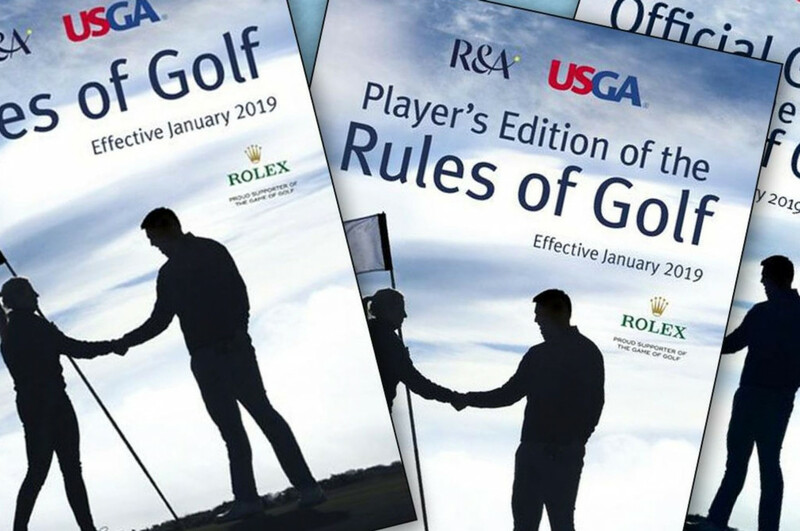 As part of the NJSGA’s ongoing Rules of Golf educational program, the NJSGA Rules Committee will “bring you along” with a group of players during their round to review common Rules scenarios. The seventh of the series involves Accidental Deflections. Player A and Player B are playing the 14th hole, a slight dogleg right protected by trees. A’s caddie is standing at the corner of the dogleg, about 210 yards off the tee and does not see A’s tee shot, which hits a tree and accidentally deflects off his shoulder and onto the fairway. Player A plays his next stroke from where the deflected ball came to rest on the fairway. Player B hit a good drive, but her approach shot is short and comes to rest in the greenside bunker. Before entering the bunker, B leaves her putter and an extra wedge outside the bunker - considerably to the right of her intended line of play. Player B’s bunker shot is mis-hit and flies a bit to the right, hits one of her clubs left on the ground, deflects onto the putting green and rolls into the hole. There is no penalty to player A (and player A correctly played his next stroke from the fairway), nor is there any penalty to player B – and player B’s ball played from the bunker is holed. If a player’s ball in motion is accidentally deflected by a person (in this case Player A’s caddie) or outside influence (in this case the players equipment) there is no penalty and the ball must be played as it lies. For the same reasons, there is no penalty to B since she did not deliberately leave or position her equipment to deflect or stop the ball in motion.